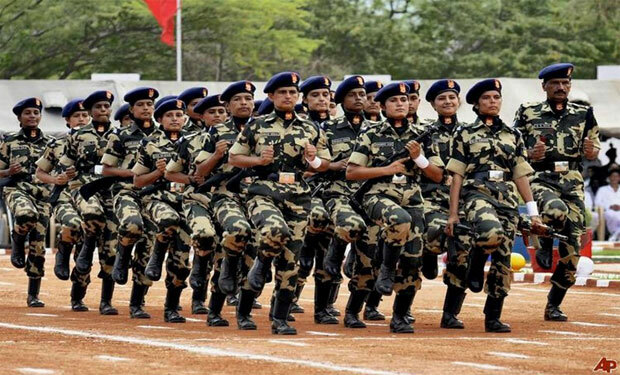 UPSC CPF(AC) Selection Procedure: Central Police Forces (CPF) (Assistant Commandants) Examination is conducted by Union Public Service Commission for different central forces in India namely SSB, BSF, ITBP, CISF, CRPF. The selection process details are given below. 1. Written Examination: The written examination to be conducted by Union Public Service Commission will comprise of two papers. Paper I & Paper II. Paper I consists of Objective (Multiple Answers) type questions and all questions will be set in English as well as Hindi. There is negative marking for wrong answers. In this paper candidates will be given option of writing the Essay Component in English or Hindi, but the medium of Precis Writing, Comprehension Components and other communications/ language skills will be in English. 2. Physical Standards/ Physical Efficiency Tests and Medical Standards Tests: Candidates who have qualified in the written examination will be called for the Physical Standards/ Physical Efficiency Tests and Medical Standards Tests. 3. Interview/ Personality Test Candidates who are declared qualified in the Medical Standards Tests, will be called for Interview/Personality Test to be conducted by Union Public Service Commission. Candidates who are declared medically unfit but allowed to appear before the “Review Medical Board” on their appeal by the Appellate Authority will be called for Interview/ Personality Tests provisionally. Candidates who are short-listed for Interview/ Personality Test, including those short-listed for Interview/ Personality Test provisionally will be issued a Detailed Application Form (DAF) in which they will be required to indicate their preference of Forces. Interview/ Personality Test will carry 150 Marks. 4. Final Selection/ Merit: The merit list will be drawn on the basis of marks obtained by the candidates in the Written Examination and Interview/ Personality Test.